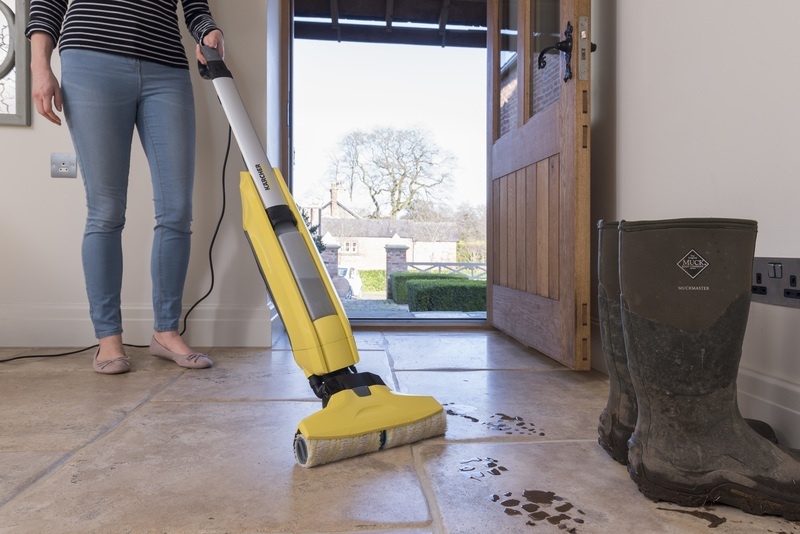 Cleaning hard floors usually means cleaning them twice – first you have to vacuum away all the grit, pet hair and dust, and then wash with a mop and bucket. 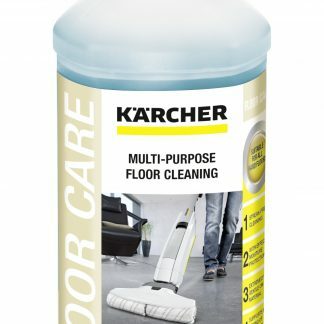 The new Kärcher FC5 Hard Floor Cleaner does both jobs at the same time, giving you gleaming hard floors without the need for mops, buckets and scrubbing. 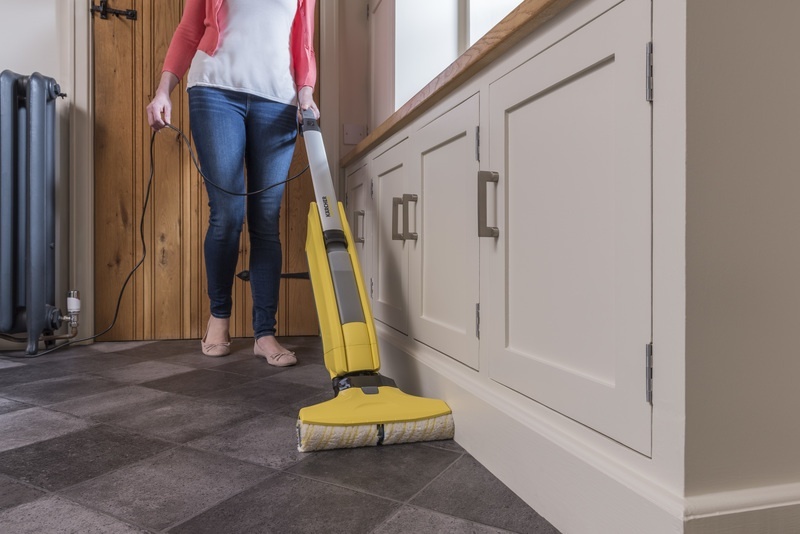 Whether you are cleaning: hardwood, laminate, tiles or stone floors, the hard floor cleaner works brilliantly, leaving them clean and dry in just two minutes. 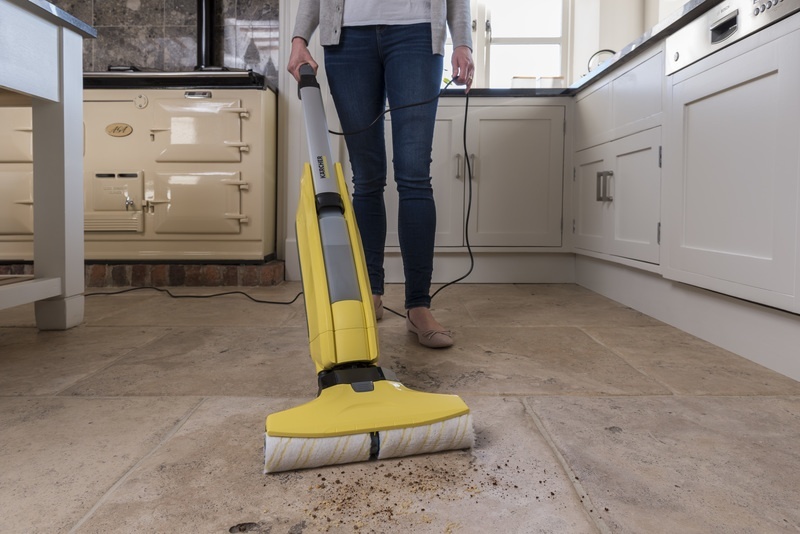 Our innovative SmartRoller technology vacuums up dust, small debris and pet hair, whilst controlling the flow of water to clean your hard floors gently yet effectively. You can also add detergent to lift deep down dirt, to leave your floors with a fresh lemon or bee’s wax smell. 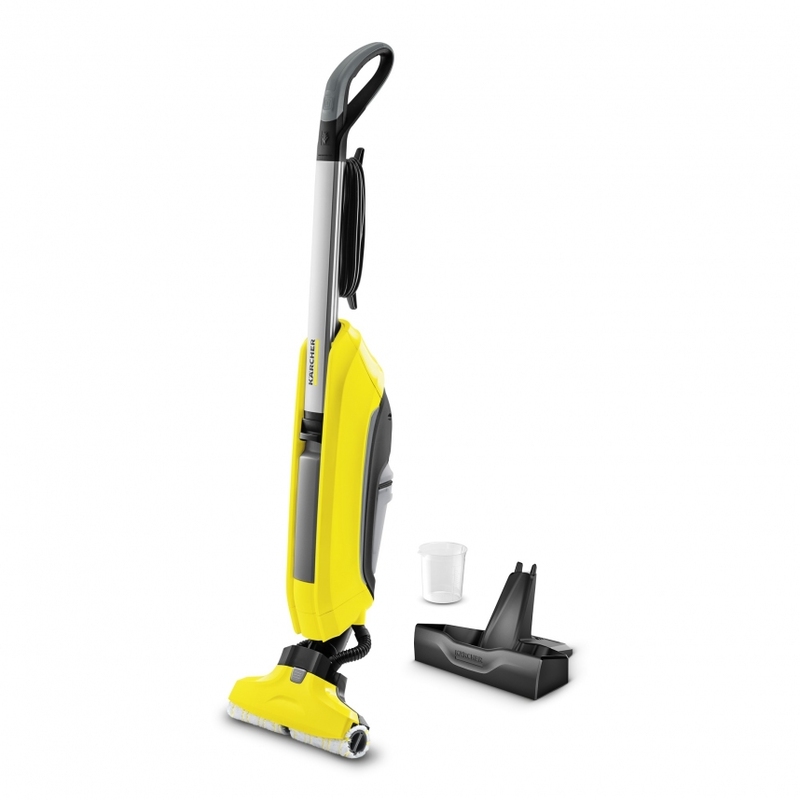 The FC5 Hard Floor cleaner is light and manoeuvrable, so it is easy to push, carry and store. You can also remove the rollers for machine washing. 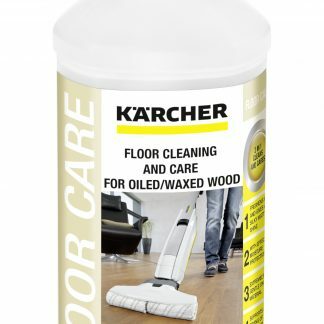 The FC5 Hard Floor Cleaner comes with a two year guarantee. 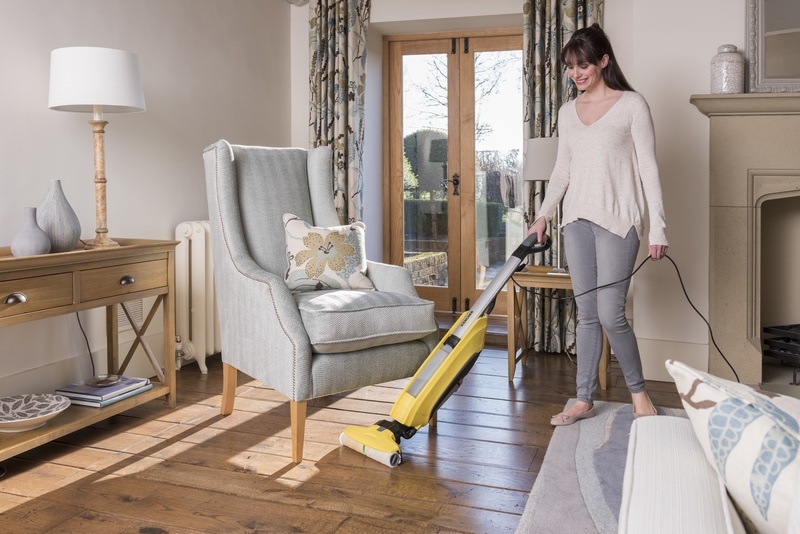 2-in-1 Function – Vacuums and washes in one, using SmartRoller technology. Self Cleaning function – Continuously clean rollers for best cleaning results. The Smartroller technology removes excess water, leaving floors clean and dry in just two minutes. High-quality microfibre rollers – Placing the microfibre rollers on and off is quick and easy. Machine washable at up to 60°C. Innovative drive concept – With forward rotating rollers, the machine moves across the floor almost by itself – for effortless cleaning. Cleaning head with a flexible hinge – Easy to clean under furniture. Easy to move around objects. Cleaning right up to the edge – for excellent results in corners and edges. Easy-to-remove two-tank system – The fresh water tank can be easily filled under the tap. Hygienic removal and emptying of the dirty water tank without having to come into contact with the dirt. Cleaning and storage station – Perfect for easily cleaning dirty rollers. Convenient storage of the machine.